So tough for a good kopi ping? 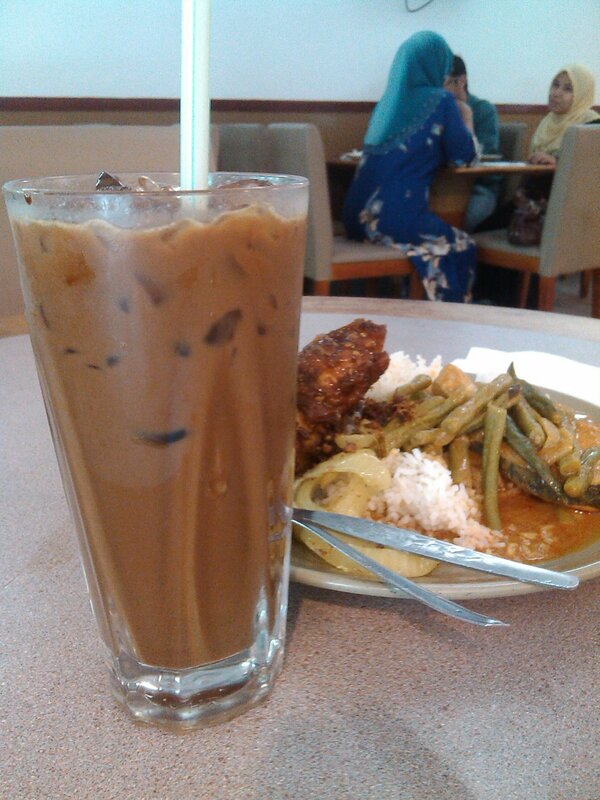 I was having lunch today and I ordered a kopi ping. I think it must be one of the worst I have tasted this year. The colour was pretty much the only telling sign that it was a glass of iced coffee. There was hardly any coffee taste. The coffee powder must have been way overused for way too many cups or even the original powder used was of the lowest quality you can find. After much thoughts, I think I will not reveal where this place is. I will remember that I shall not order from them anymore. To make a good cup of kopi ping, the coffee powder, even is the cheapest variety of RM4 / kg should not be used for more than 10 cups. The condensed milk should be of milk variety and not palm based. Water should be near boiling. This is so as to extract the best value of coffee taste because the typical time to make this coffee is less than 1 minute. Thus speed is of essence. For kopi ping, the amount of coffee should be more because ice can dilute the taste. Last but not least, the coffee maker must love coffee because if not, how can he make a great cup? Oh yeah, I have never worked in a coffee shop before. Haha. However, everytime I am at any buffet spread, I love to make a cup of coffee for anyone. Thus far, everyone likes the combination of coffee, milk and sugar. Don;t worry, I did not try it. It’s based on just experience and the fact that I make the same cup of coffee everytime. To make a good cup of coffee at the buffet spread, put in the sugar first, then followed by coffee up to nearly 50% of the cup and the milk filling up to the remaining 40%. Of course you need to leave the 10% because otherwise how to get the cup back to your table without spilling it?!! Try it. You’ll love it. written on 24th dec 2013.